Phagenesis, the world’s leading company in the treatment of dysphagia, is focused on transforming the lives of people with inability to swallow safely, using revolutionary treatments developed through a commitment to scientific and clinical excellence. The treatment principle is pharyngeal electrical stimulation (PES). This involves applying an electrical signal to the pharynx through electrodes which are deployed via a catheter inserted nasally, improving swallowing function by restoring neurological control. 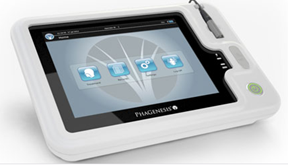 Phagenesis has developed the world’s first clinically-proven CE-mark device to treat dysphagia. Studies show clinically and statistically significant improvement in swallowing function in a majority of dysphagia patients, especially in stroke patients in the first few weeks while they are hospitalized. Phagenesis is now developing and testing a new version of its device to treat patients suffering from long-term dysphagia as well as expanding the clinical evidence base regarding the devices used in a broader range of indications causative of dysphagia. Phagenesis has successfully met milestones triggering structured deal with Nestlé.